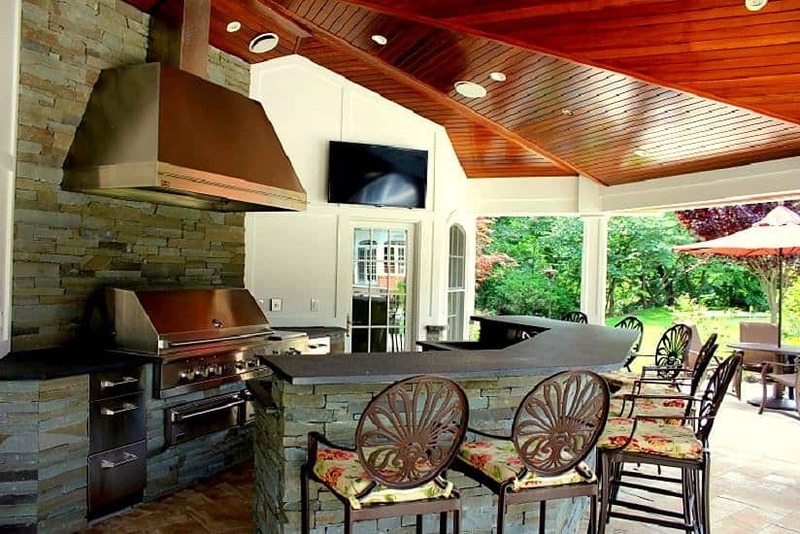 Outdoor Kitchen Design: There are certain elements that are ideal for relaxing and entertaining when creating the perfect outdoor living space. We can make your backyard a “dining destination” by incorporating features such as a weather-resistant grill island with prep and storage areas; food warmer; refrigerator; wet bar; wine cooler; electrical hookups for appliances and wired-in entertainment system. You may enjoy your outdoor room well into the evening by having a custom lighting scheme installed, and can extend the seasons by adding overhead heating. The choices are endless! The addition of an outdoor kitchen will add immeasurable comfort for years to come, while also increasing your property value.